Made To Order in the USA - usually ships in 8 to 10 days. A nature study ... La Selva is a tropical inspiration filled with lush over-sized leaves in shades green, khaki, and orange, on a soft tan background. La Selva Natural Lined Empress Swags are printed on a 100% cotton duck fabric. A twisted braid frames the graceful scalloped bottom edges of the swag. These versatile swags are 100" wide and will work well on windows up to 60" wide. 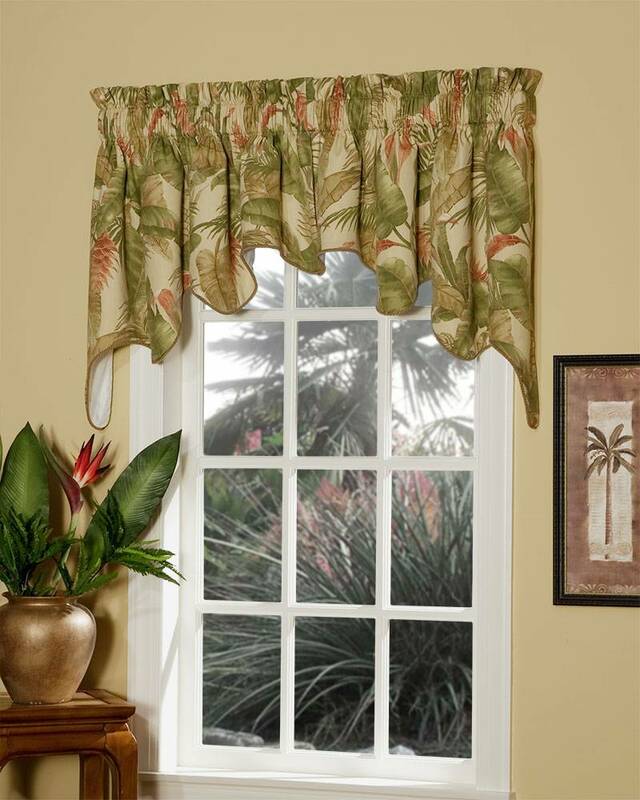 For wider windows, insert La Selva Natural Lined Empress Filler Valances (sold separately) between the right and left swag panels. Fully lined. Made in the U.S.A.